I’ve been keeping an eye on this fella for a few months now, plus he has a really cool name. Vlad Ixel might not be someone you know too much about, but you will hear a lot more about him over the coming year or so. I’d rank him as a serious global up and coming ultra runner within the and that could compete globally with a lot of the big guns from the US and Europe. Vlad started running when he decided that his life was not going the way he wanted it go. By his own admission, he was extremely unhealthy, and decided to take a three-month trip around Australia with his brother. They drove from Adelaide to Cairns in a basic camper van and it was then that he realized how beautiful a simple life of waking up with the sun and going to sleep with the sun was. After the trip ended he realized that he needed a change in his life. A few days before his 25 birthday, just under two and a half years ago he decided to sign up for a marathon. He quit smoking just a few days before the marathon and his training was a couple of basic runs. He ran the marathon in 3 hours and 18 minutes and could not walk for the next three weeks. Despite the agonizing pain he endured, the joy he got from completing the marathon was greater than any substance has given him. For the next few weeks no matter what the day brought if it was a good day or a bad day, he was full of joy from completing the marathon and nothing could change that. What attracts you to racing in Asia? I am based in Perth and have moved to Hong Kong for the running season. I initially started running in Asia because it was cheaper to fly to Asia opposed to flying to the east coast of Australia. After completing a few trail races in Asia I truly enjoyed the trails offered in Asia, it gives me an opportunity to gain experience that I feel I am lacking. What’s the Asian racing scene like right now? Where do you feel it’s headed? 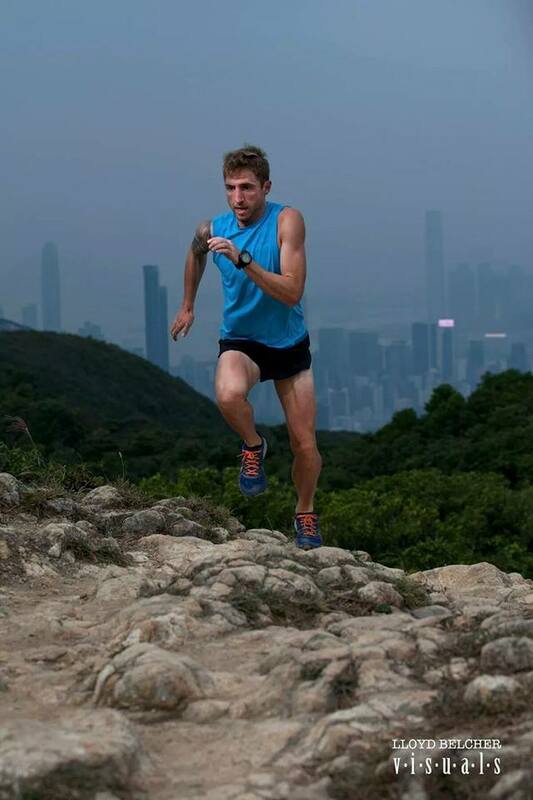 Trail running in Hong Kong is growing as it is all over the world. During the running season in Hong Kong you can run a trail race every weekend. The level of racing in Asia is not as high as Europe but it is definitely becoming more competitive. I think the racing scene will continue to grow. Road running is extremely popular in Asia and a lot of runners are making the transition from road running to trail running. Some of the road runners are extremely fast and it won’t be long until they learn the trail running skills. Am I right in hearing that you’ve set up your own race too? What’s the driver behind that? Yes, I have set up The Great Relay Hong Kong which is on January 10, 2015. I always look for new challenges and I thought I would try organizing a race that is a little different from the races I typically race in. This once offers more of a team experience. What’s your favourite country to race in and why? My favourite country to race in is Hong Kong. The weather in Hong Kong suits me perfectly, not too cold and a little humid during the winter months. Do you plan to come and race in Australia next year? I am currently not planning to race in the next six months in Aus but maybe closer to the end of 2015 I would love to do a few races and maybe TNF Australia in 2016. What are your longer term plans? One of my goals is to complete a 100 mile race in 2015. I am also interested in road running. Three weeks ago (November 9, 2014) I completed my first ever 10k road race with a 32:30 win, I was surprised considering I don’t do any speed or tempo training. I would like to complete 3-4 road races a year to test myself and my speed. I had a small chance to represent Australia in the world Sky Championships in France this year but due to injury I did not perform at my best so I will be attempting to make some of the Australian teams and redeem myself. I understand you’re a vegan too, do you feel this has helped improve your running/lifestyle in general? How does it work for race nutrition etc..? I am 100% vegan. I think that it helps a lot with recovery opposed to performance. I think that the food I eat digests in the body quicker and uses less energy to digest, which leaves more energy to repair my body. During races I keep my calorie intake to a minimum. In my first 100k race I had 20 gels compared to my last 100k race where I had 3 gels and a banana. My diet has changed and in turn my body has adapted, my body is able to allocate its nutrition more efficiently. 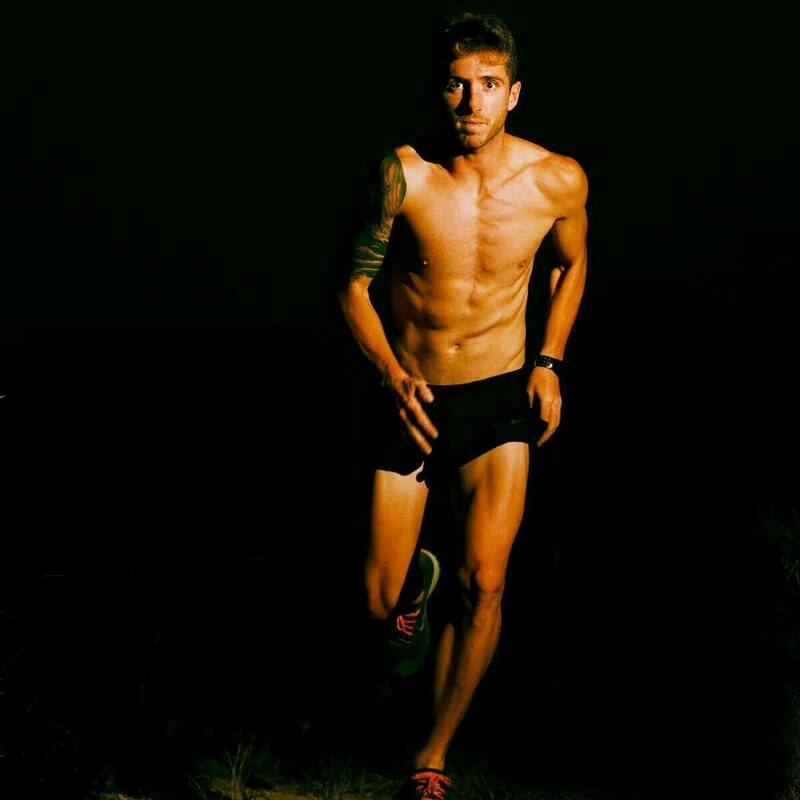 Keep an eye out for Vlad as the races roll by, I have a feeling that in the next few years we’re going to see him really be at the pinnacle of Australian and Asian ultra running, if not globally. Opinion: The Hand-Holding Debate – Should we?